Greeley square with the Twin Towers in the distance. North Midtown Manhattan from around Greeley Square. Midtown Manhattan with the roofs of the twin towers in the foreground. The rooftop water towers of Midtown with the Met Life tower to the left and Twin Towers center. 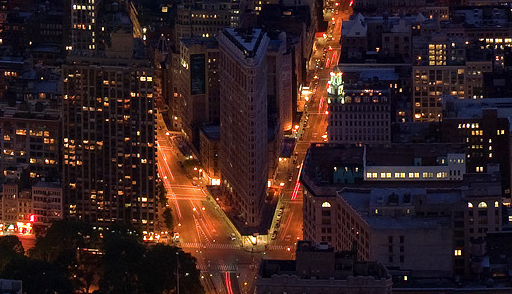 Looking at Flatiron building from ESB observation deck. Midtown skyline from the rooftops of the shorter buildings. 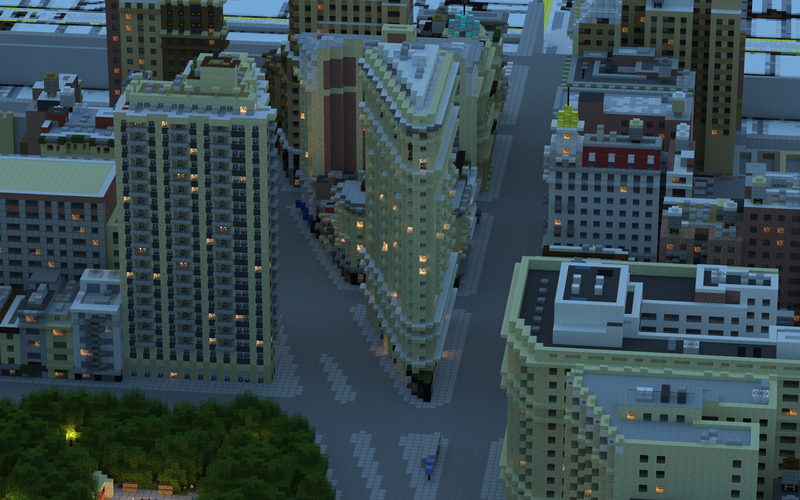 A comparison between the real life Flatiron building and my Minecraft Flatiron building, both at night. Hello Everybody! 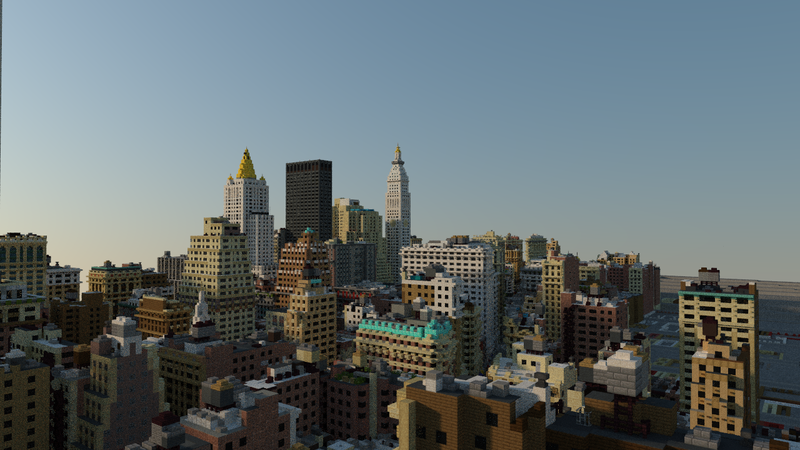 This is my rendition of Midtown Manhattan, specifically the area around Empire State Building and the Flatiron building, which is part of my All of Manhattan in Minecraft project. The other part of this project is Lower Manhattan, and since they're so different, I decided to put them into two different posts. 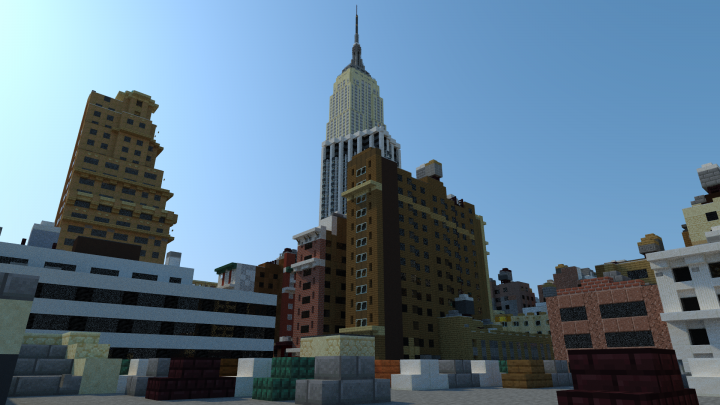 The map is build in a 1:2 scale, because it is easier to build a massive project in and in order to fit all the tall buildings, such as the Empire State Building in. The main builder was me, about 95% of the buildings, but __Vex and Spunod0009 did help me with a few other ones and they did a good job, so they deserve credit (__Vex on PMC is TheWantedPig). 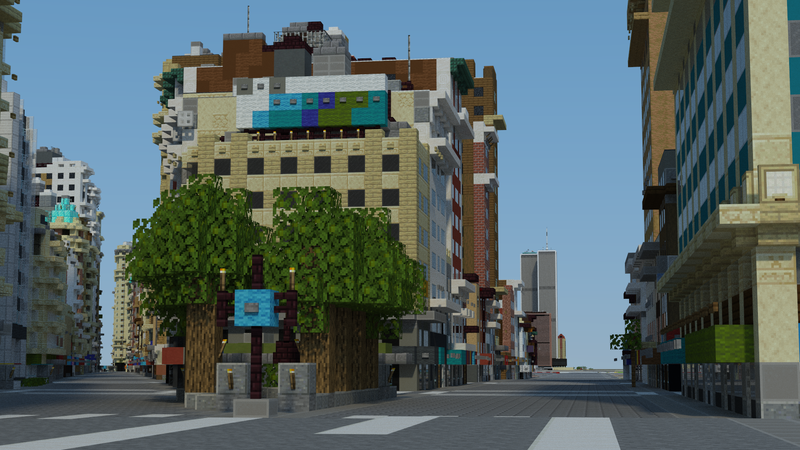 Overall, the project covers about 30 city blocks with a total of 388 buildings in Midtown alone! There are many roof vents and pipes on every single building, interior details and shops in some, but one thing that every building has is detail. I work really hard to give a realistic rendition of these buildings, even the tiny ones, so no building gets left behind. If you see a part of this map that doesn't look detailed, that's because I'm not done with it yet. Overall, I'm pretty happy with how this is coming out. I haven't happened to have any setbacks or problems, so let's hope I can update this map frequently. Thanks for Reading, and go be creative! Thanks for the support in any form! 1- Please do not claim that you built this map, that is not a nice thing to do because my friends and I all worked hard on it. 2- If you are making a video on it, please mention the creators (mainly aBitterMelon, but also __Vex if you want to be really nice :) in the beginning of the video. 3- Have Fun! I built this map for people to enjoy! If there is anything wrong with it, please comment or message me and I will do my best to fix it! If you follow these rules, then you can do whatever you want with my map. Blow it up, add on to it, whatever. Also, when you spawn in, there should be signs in front of you, but if there isn't, try to look behind you or around the fountain, they should be easy to find. I really hope you all enjoy the map, and thank you! Building count in Midtown up to 388! Updated Download! New Video coming soon! would you build New Jersey/Brooklyn in the future or just Manhattan? when are u going to post lower manhattan update? Welcome back! 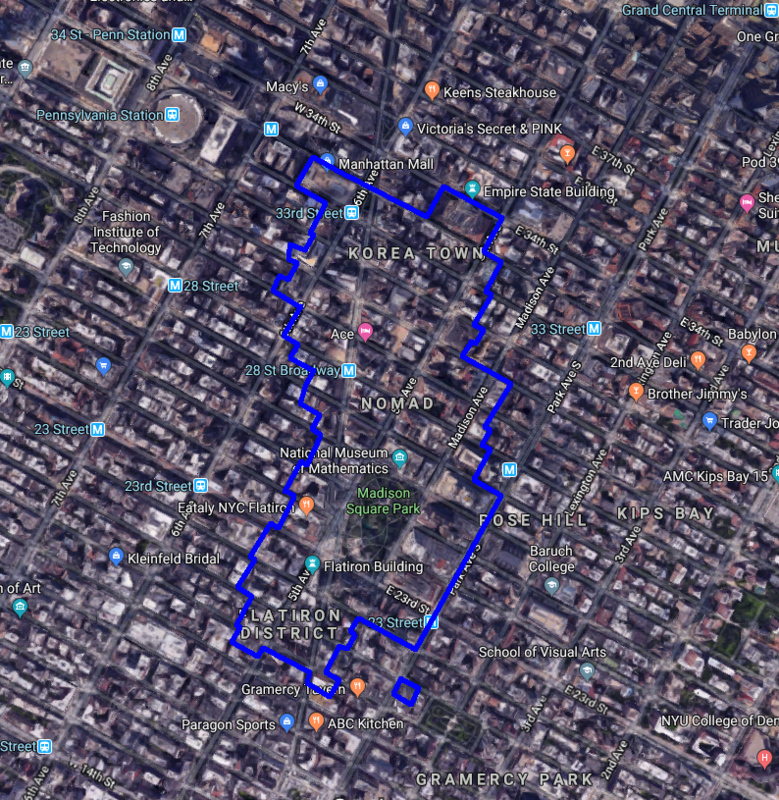 Are going to build Midtown Manhattan? Wow, it looks awesome! does it also include Chinatown,Times Square,Central Park & other buildings in Midtown? The site is Dangerous, please solve this. Yes, it is Dangerous. I using the link on virtual machine [Windows 10]. 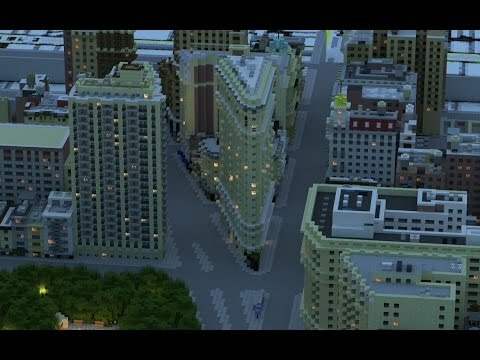 Im separating midtown and lower manhattan so that when I only do a video on one part of them and only update that half of the map, I don't make people think I updated the whole map or built anything in the part I didn't build in. I alternate between Lower and MIdtown every few months or so, so one video will be in lower and the next will be in midtown. 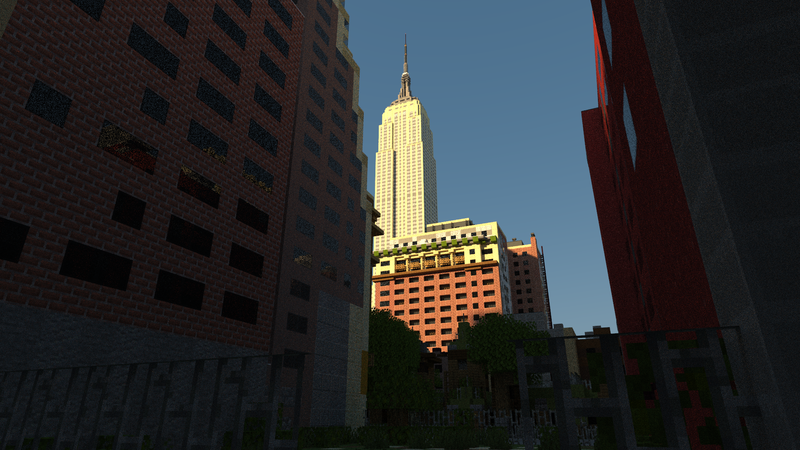 It's not necessarily this part of New York City that I'm going to be updating, but actually the Lower Manhattan Area. I might release a download for this part though, so that's what I mean when I say "updating." The Lower Manhattan part of the project will have a different project entry on its own. Looks Good Keep It up! But I want to know something. Your last map of nyc in 2001 was pretty good and I want to know since this is a 2001 map will you add the World Trade Center? 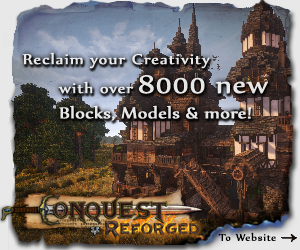 if so will you make it bigger and more detailed than the old one? Yes, I have already built parts of the World Trade Center and more accurate than the old World Trade Center. It is definitely more detailed than before but not necessarily bigger than before. I already uploaded a video with them in it but I haven't made a PMC post on it. Oh thanks! I'm always trying to improve! The Midtown, although not as noticeable, also takes place in 2001. I like the year because it is the last year that the twin towers were still up, there are a lot of satellite pics of the year, and it was the year I was born in. Ever think about revamping this to fir MARVEL? You should make a version that includes Stark Tower. If you do, I'll give credit on any build I use it in. collections 19 Best New York projects ever!